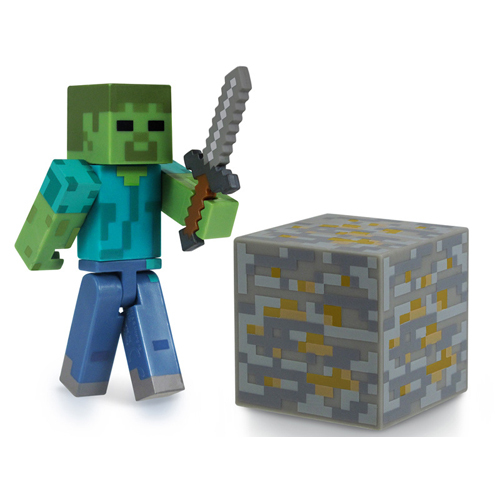 Minecraft Zombie figure with accessory. Zombies are common mobs that pursue the player on sight, and continue chasing even after being attacked. They can catch fire in sunlight and make a moaning groaning sound.